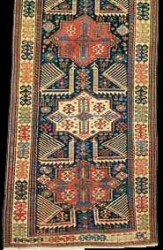 "The advantages of handspun yarn to machine spun yarn"
Antique Shirvan "Akstafa" bird rug, Southern Shirvan Region, Salyan (Saliani) District, Azerbaijan. 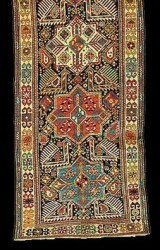 19th century. 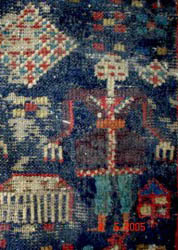 J. Alper Smith. 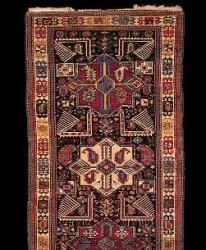 One of the best and oldest examples. 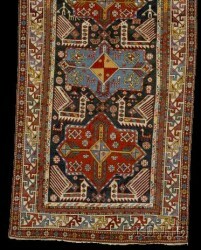 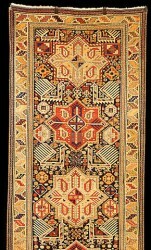 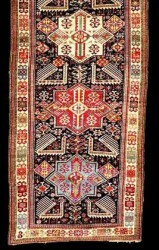 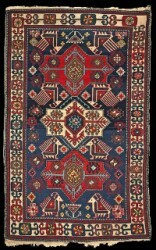 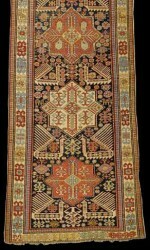 A southern Salyan (so called Saliani) rug. 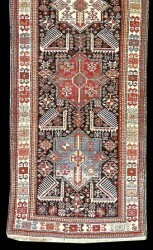 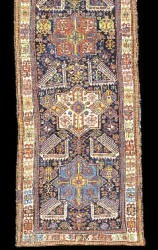 1870s, 121 x 334 cm, Azerbaijan. 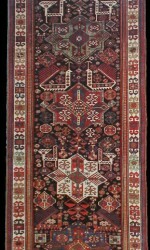 Published at Ian Bennett's Oriental Rugs, Volume I, plate 213. 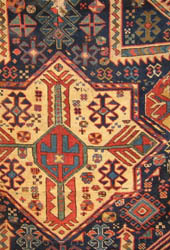 Bennett prefers a Kazak attribution. 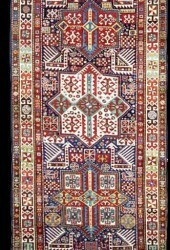 256 by 125cm., 8ft. 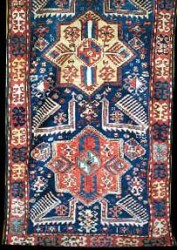 5in. 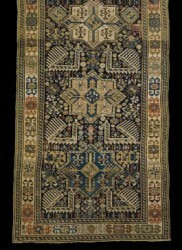 by 4ft. 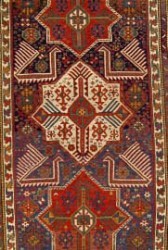 2in. 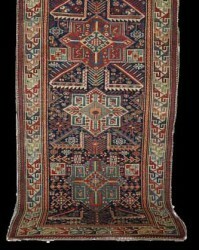 Antique Caucasian "Akstafa" bird rug, Southern Shirvan or Gendje Region, Azerbaijan. 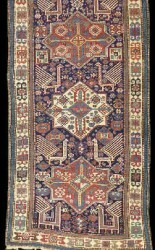 Late 19th century. 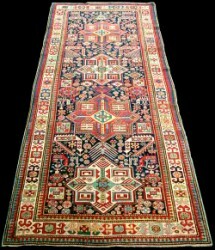 4' x 8'. 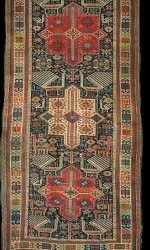 Antique Shirvan "Akstafa" bird rug fragment, Southern Shirvan Region, Salyan (Saliani) District, Azerbaijan. 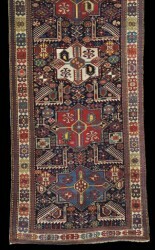 Late 19th century. 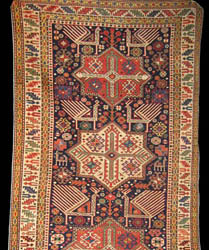 Antique Shirvan "Akstafa" bird rug, Southern Shirvan Region, Salyan (Saliani) District, Azerbaijan. 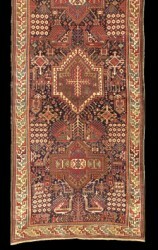 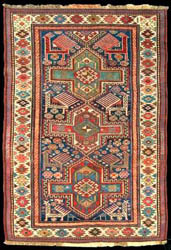 LOT 86 (of 117), An Akstafa long rug, West Caucasus, circa 1890, 276 by 125cm., 9ft. 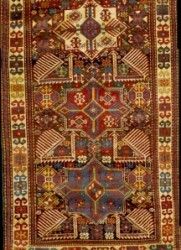 1in. 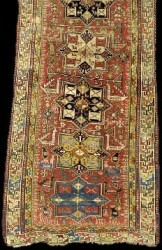 by 4ft. 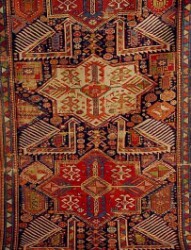 1in. 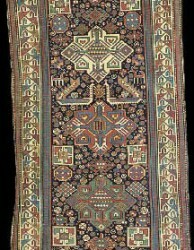 Antique Shirvan "Akstafa" bird rug, Southern Shirvan Region, Salyan (Saliani) District, Azerbaijan. 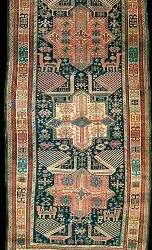 Last quarter 19th century. 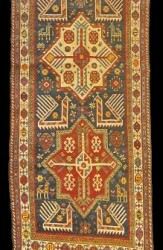 Antique Shirvan "Akstafa" bird rug, Southern Shirvan Region, Salyan (Saliani) District, Azerbaijan. 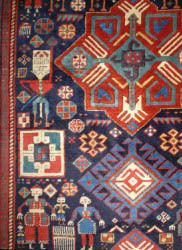 3'4 x 9'7"
3 April 2003, Amsterdam, 313cm. 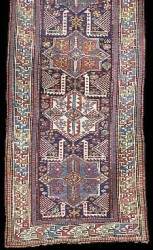 x 149cm. 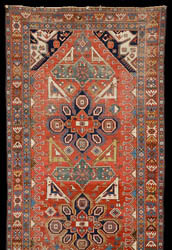 Sale 2006: Oriental Rugs And Carpets Including Property From The Doris Duke Collection And The Newport Restoration Foundation, 3 June 2008, New York, Rockefeller Plaza, 9 ft. 11 in. 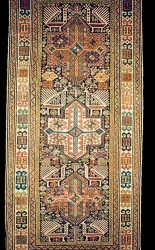 x 3 ft. 9 in. 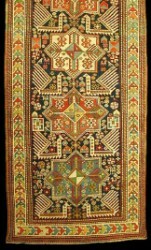 302 x 114 cm. 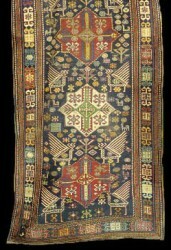 Antique Shirvan "Akstafa" bird rug, Southern Shirvan Region, Salyan (Saliani) District, Azerbaijan. 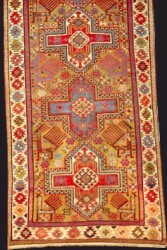 8.6" x 3.8"
Antique Shirvan "Akstafa" bird rug with the polychrome "leaf and calyx" type of border, Southern Shirvan Region, Azerbaijan. 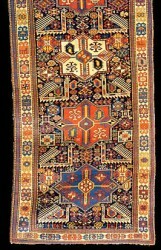 Late 19th century. 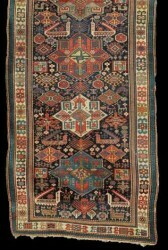 123 x 223cm. 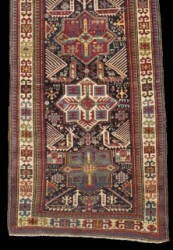 Antique Shirvan "Akstafa" bird rug, 306 x 121 cm, Southern Shirvan Region, Azerbaijan. 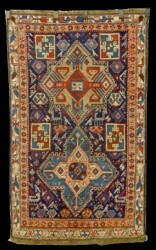 Amsterdam, 290 cm. 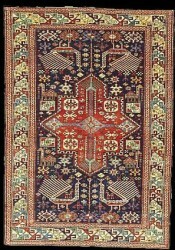 x 114 cm. 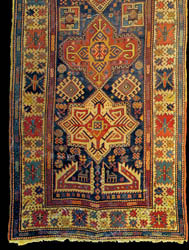 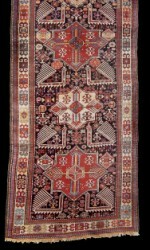 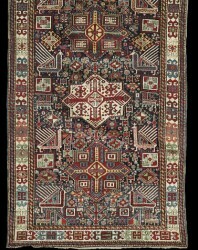 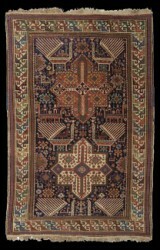 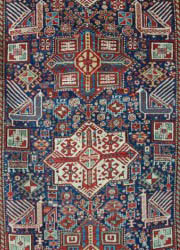 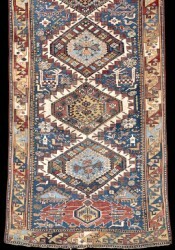 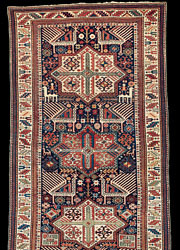 Akstafa Rug, East Caucasus, last quarter 19th century, (repiled areas), 6 ft. 9 in. 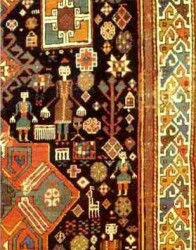 x 4 ft.